With basic functionality that includes creating and sending multimedia messages called “snaps” in form of images, documents, videos, GIF etc. In-app editing filters provide an option to alter images and video. Snapchat is known for the lifespan of the snaps which is the main trait and sets it apart from other famous mobile messaging apps. Though user specifies a period of time between 1 to 10 seconds before snaps become inaccessible. Microtransactions are used for extra replays of three snaps after single free daily replay is depleted. The price is $0.99 for three resurrections. Like Instagram stories, Snapchat also features “Story” section for users apart from snaps which could be both sent to chosen contacts, much like usual messages, MMS for instance. 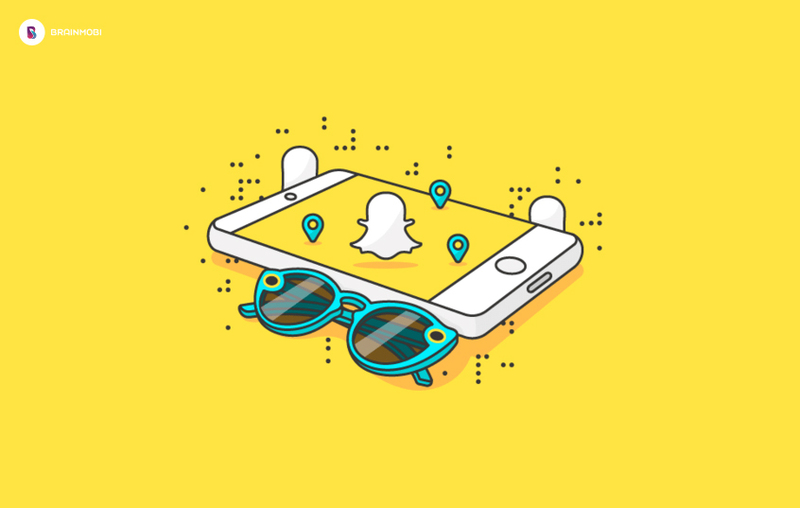 One more distinguishing feature of the Snapchat app is to add a friend from “Add Nearby” menu along with other usual modes like “Snapcodes”, usernames, phonebook contacts. It looks up for other Snapchatters on site who have also enabled the Add Nearby menu. 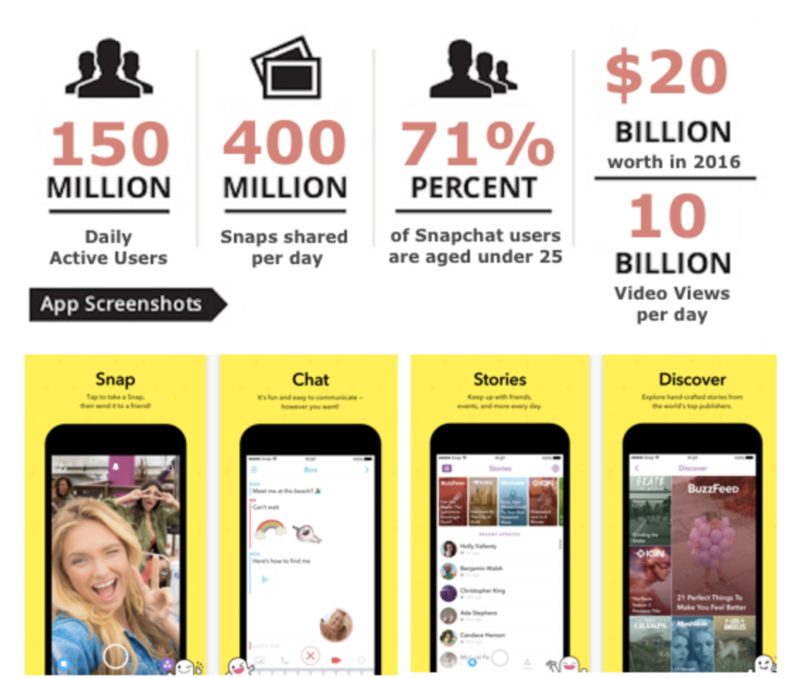 On the basis of above feature, developers breakdown efforts and cost to develop an app similar to SnapChat to make your conversations effective while sharing pictures or videos with friends or family members. 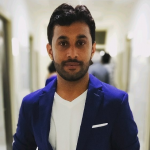 To match the daily usage of Snapchat of more than 400% year-on-year and make almost 150 million people use an app requires great efforts and devotion in winning the fame game. At Brainmobi, we understand and believe in integrating the power of innovation. For tremendous user support, we offer high-end mobile app development services of which chat apps are an integral part. Our well-versed developers represent an epitome of technical exemplars with a great sense to deliver more than what is asked for. 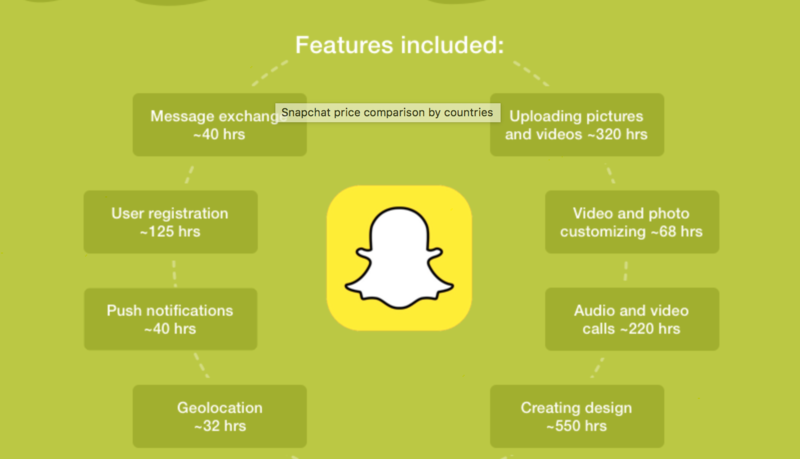 With BrainMobi, the total cost to develop a SnapChat clone, it may cost you roughly around $5,500 to $14,500 for each platform. Contact our professional team of experienced mobile app developers to give your idea wings to fly high with above-mentioned features integrated into your Snapchat clone.Get affordable price and agile development with guaranteed success and popularity of the mobile app is what the team at BrainMobi known for. Drop your queries in the comment section below to let us work toward upgrading your business strategy with a successful mobile app like SnapChat.